There may be a variety of midsize sedans on the market, but there is only one Subaru Legacy, and it's better than ever for the 2017 model year. The addition of the Sport trim level provides you with even more options while the already industry leading safety and technology continues to improve for the new 2017 Subaru Legacy. You'll love the performance behind the wheel of a new Legacy no matter what model you choose. Take a look at the details below to discover more, then come experience it for yourself at Subaru Superstore. Generous features come standard on the entry-level 2017 Subaru Legacy 2.5i including symmetrical all-wheel drive, a powerfully efficient BOXER engine, paddle shifters, and more. With so much value, consider upgrading to the new 2017 Legacy 2.5i Premium equipped with even more features such as alloy wheels, dual-zone climate control, leather-wrapped steering wheel, and that's not all. The all-new 2.5i Sport trim level provides a new level of unique style inside while new 18" wheels, fog lights, and a sunroof make this model a must see. Enjoy additional safety and comfort with a value-packed 2017 Subaru Legacy 2.5i Limited equipped with leather upholstery, blind spot detection, and rear cross traffic alert, among so much more. If you prefer a bit more power, jump behind the wheel of a new 2017 Subaru Legacy 3.6R Limited which is similarly equipped, but motivated with the exhilarating 3.6L six-cylinder BOXER engine. Year after year, the Subaru Legacy has earned the prestigious IIHS Top Safety Pick. More recently, it has earned the highest Top Safety Pick + distinction when equipped with the available Subaru EyeSight driver assistance technology. Already among the absolute safest cars on the road today, further improvements to the new 2017 Legacy show that Subaru isn't content with simply being the best. When you get a new 2017 Subaru Legacy equipped with the award-winning EyeSight technology, you now get the additional safety of reverse automatic braking and more. Subaru has developed a reputation for taking performance to a whole other level, and the new 2017 Subaru Legacy is a prime example. Under the hood, you will find a powerful and efficient BOXER engine that, at the entry level, can earn up to 34 MPG while delivering 175 horsepower. If you're looking for even more power, you should certainly take a new 2017 Legacy equipped with the available 3.6L six-cylinder BOXER engine for a test drive. When you do, you'll be in control of an exciting 256 horsepower. The standard symmetrical all-wheel drive is great for winter trips to the mountains, and it also provides superior handling and control on any surface. At Subaru Superstore south of Mesa, AZ, you are certain to find the perfect new Subaru among our huge inventory. We also provide a wide variety of certified pre-owned Subaru models along with top-quality used vehicles to fit everyone's needs. Our frequently updated special offers make upgrading your vehicle even easier, and you can find out more about your next new Subaru with detailed model information. You can also see how Subaru models compare in our Subaru comparison research. 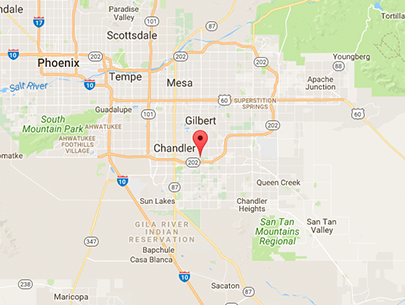 We are proud to serve Scottsdale, AZ from our convenient location at 1050 S. Gilbert Road, Chandler, AZ 85286. Schedule your appointment online or by calling (888) 859-6735. We're confident that we'll make the short drive from Gilbert, AZ well worth it at Subaru Superstore.